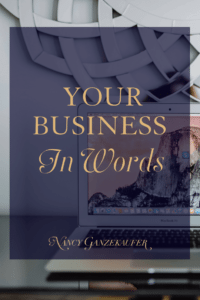 Your Business In Words – Just the beginning! Do you go to networking events and find it never benefits your business quite as much as you would like? When asked what you do, do you know what to say?? Do you just give your title? I’m a Business Coach. I’m an Interior Designer. I’m a Photographer. I’m a Marketing expert. I’m a Manufacturer. I own a Clothing store or a Restaurant. Networking events can be overwhelming and intimidating but it is still a great way to market yourself, your product and services…..if you do it right and practice what to say. Your opening sentence when asked what you do is key to either killing the conversation or opening it up to being able to share more and get the person really interested and engaged. 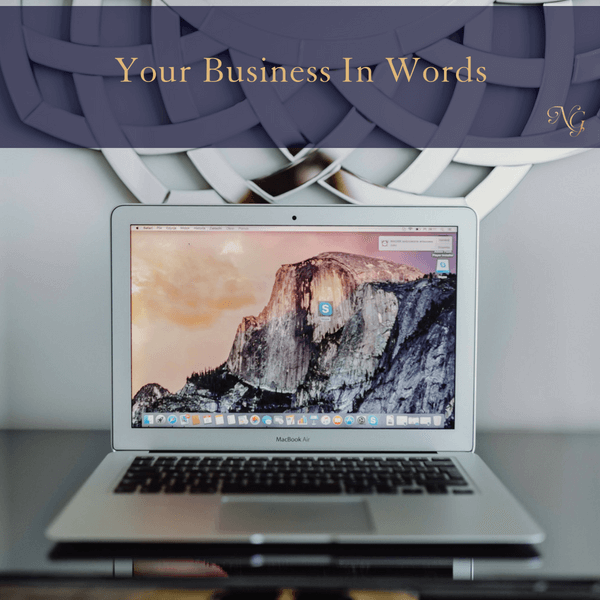 So, how do YOU define Your Business in Words? Are you prepared to be clear, concise, motivating and appealing? Do you want people to listen to you and ask you more questions? Especially if they are your ideal client (or know someone who may be). So, here’s a suggestion to get you started and make you irresistible to chat with. This will turn into your first sentence of Your Business in Words! Example 1: no-nonsense, focused, motivating / Business Coach. Example 2: Loving, Patient, Energetic/ Interior Designer. Example 3: Creative, Dedicated, hard-working/ On-line Marketing Specialist. Example 1: Hi I’m Nancy. 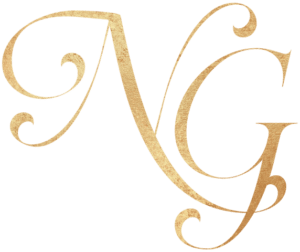 I’m a focused, no-nonsense, highly motivating Women’s Business & Life Coach. Example 2: Hi I’m Keri. I’m the most Patient, Energetic, Loving and Hand holding Interior Designer you will ever meet! Example 3: I’m a creative, dedicated and VERY hardworking On-line Marketing Specialist! See how those feel when you read them? Can you feel the energy? Hear the dedication?!! This is your first sentence and then, of course, we have to add more but let’s take it one step at a time. There are no wrong sentences, it’s a brain storming process till you have the words that really roll off your tongue and feel like you. This is very helpful. Thank you for the ideas! ? You are very welcome! Let me know how you make out formulating Your Business in Words. Hi! I am OK with that, as long as you post the link in your group.